You all know, by now, that swatching is not my thing. So know that, by spending an entire afternoon swatching, it means I love you people. Sheesh. I don't see how Amanda does it. I also see how she ends up with such a massive backlog. *also, it bears saying that all pictures are topcoat free unless otherwise stated. A nice, completely sfw dusty coral. My mom, in 1993, would have been all over this color. And I would have run for the hills. But as I get older, I hate colors like this less. It has a place in any collection. It's lovely and glossy. I only needed two coats for opacity, and it was easy as pie to apply. 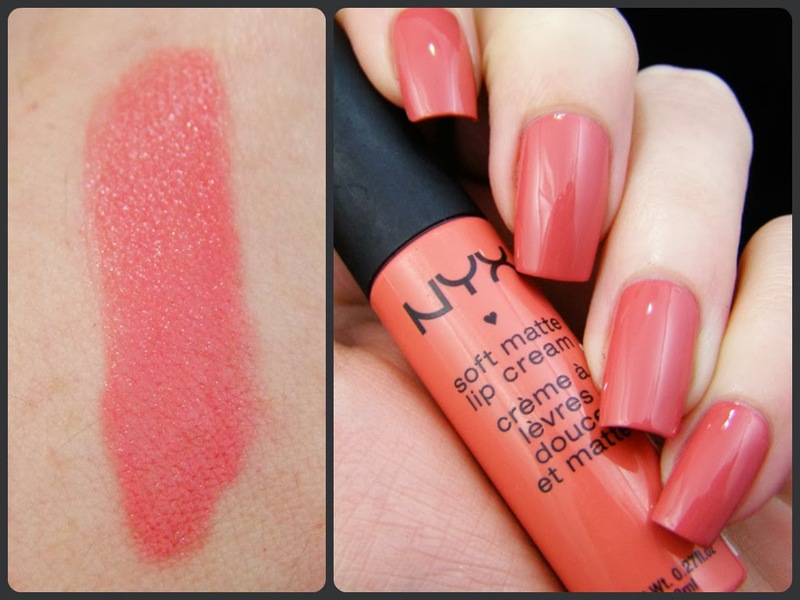 And for funsies, it turns out it is a dead-ringer for NYX Matte Lip Cream in Antwerp! I think I read somewhere that being matchy-matchy is in...again. Remember that purple color Wet 'n' Wild had in the 90's? This is the same color. It applies nicely, and I only needed two coats. It's not terribly glossy, and it does have a bit of a streaking problem. But if you are feeling nostalgic, it'll fix you right up. This might be my favorite here, color wise. It's a lovely shifty duochrome that played nicely with my camera, for the most part. I needed two thin coats for opacity, though it could definitely do with a final sponged coat to hide the streaks. My only complaint is the epic, unrelenting, horrendous stink of this polish. The others didn't smell like this, so I don't know what is up. Even my poor husband mentioned it, and he is nearly impervious to the smell of polish by now. 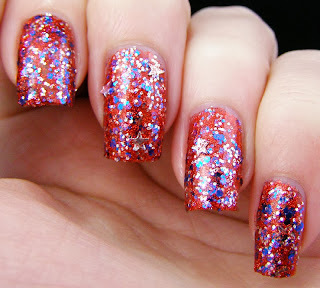 Super dense red micro glitter, with silver and blue hex glitter throughout. There were also surprise star shapes that get nearly hidden...so nearly that not one star is visible in the bottle. This stuff is thick. I used 3 coats to completely cover my nail, and it was a beast to deal with. Someone needs to invent a better way to apply glitter like this. It's too dense to just brush on, but it doesn't lay right when I dabbed it on. I had to use a coat of Gelous to get it to look like this. Still, might be fun for patriotic holidays. 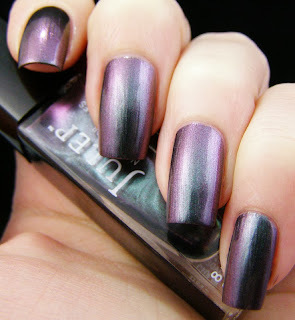 A textured polish, from Julep? I'm sorry, but they don't strike me as a company that falls to the trends. Looks like they did...and they kinda nailed it. 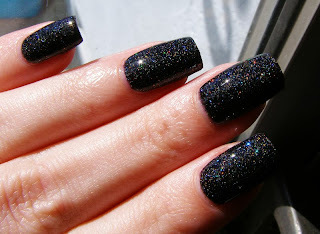 It's got the feel of the Sally Hansen Sugar Coats, but slightly less matte...and way more glitter. 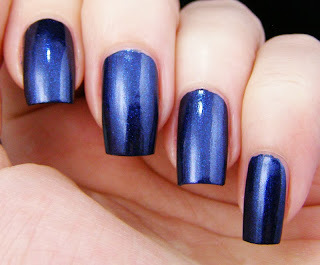 Unfortunately, this finish just does not do this polish justice. Look at it, pictured here with 3 coats of Gelous (and it could probably do with a fourth). It is amazing. There is almost every color here you can imagine, plus some shining holo bits thrown in for good measure. It's kind-of amazing guys. but holy cow my nails look fake! The last one had to be a twofer, because without 4 or 5 coats, Clio isn't dense enough to be on it's own. Joanna is a lovely color. It is actually a dead-on dupe for a L'Oreal color I wore on the day I got married. (My dress was also kinda lilac!) It's got a perfect pearl finish, which is good if you like that sort of thing. For me, pearls are annoying because no amount of topcoat--either matte or gloss--will change the look. Clio is a very delicate and feminine glitter. 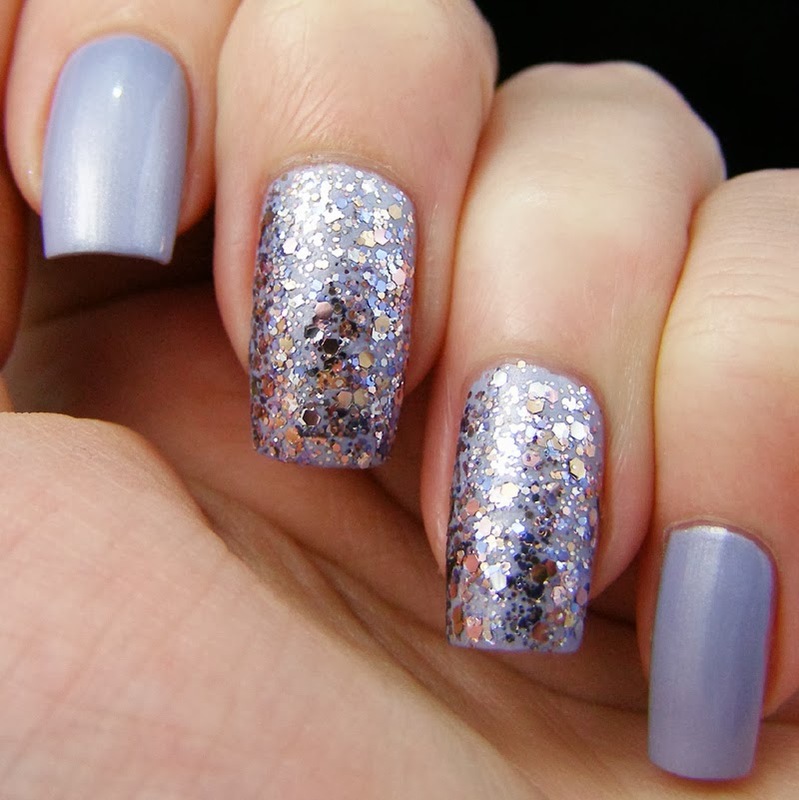 A generous mix of silver, rose, and lilac hex glitters packed into a thin base of silver micro glitter. 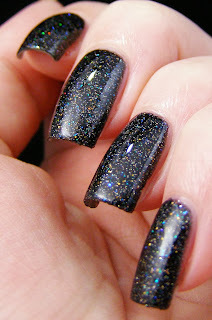 It reminds me a lot of Essie's Set in Stones because it is very reflective. I may give this another try by itself...in the spring. I can see looking like a disco Easter egg coming in handy then.